A bunch of car and motorcycle enthusiasts that meet up every Saturday around 8AM at the MTP Towne Centre in front of Atlanta Bread Company. Establishing a weekly meeting place for car enthusiasts in the Charleston, SC area. Currently meeting every Saturday at 0800 at the Mount Pleasant Towne Centre (in front of Atlanta Bread Company). 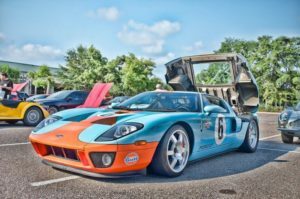 A place for car enthusiasts of any marque to share information and plan events in the Charleston, SC area.